According to Mr Grant, this aircraft is a hero in the sky. 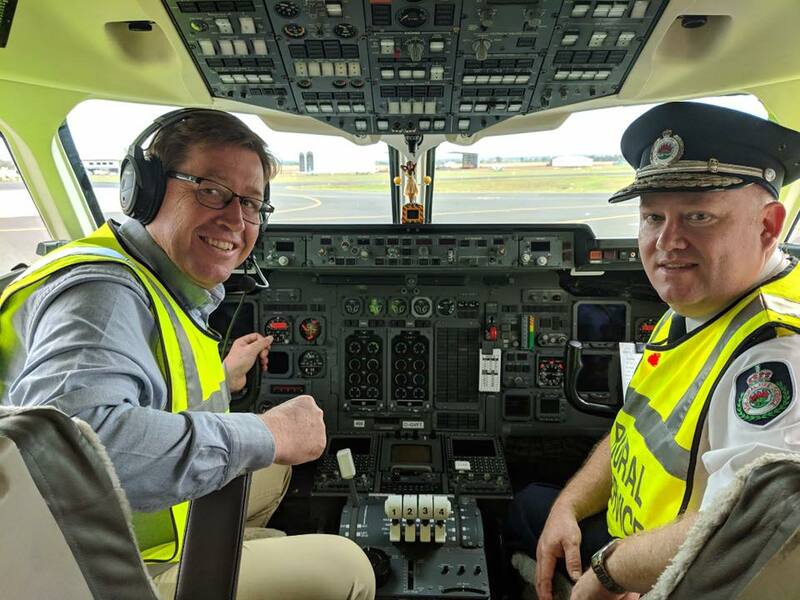 Fantastic morning alongside NSW Rural Fire Service Commissioner Shane Fitzsimmons officially welcoming Large Air Tanker ‘Hunter’ to Dubbo as the fire season continues. This hero in the sky will be deployed for direct attacks on both bush and grass fires and can also assist firies on the ground in creating containment lines. It is vitally important that we get back to basics before we destroy too much of the environment. Get back to basics, invest in better land management, invest in early detection systems for the bush and jump onto fires early so that they don’t become megafires. Couple this with volunteer and rural re-engagement (put the RURAL back into the Rural Fire Service) and we could potentially save millions of dollars that can be put back into other projects.